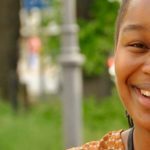 Nozipho Gumbi’s Famelab journey has only just begun! She will be travelling to the United Kingdom for the FameLab International Finals at the Cheltenham Science Festival where she goes up against 30 country winners for the international title. 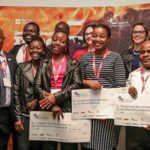 Nozipho Gumbi from Eshowe (KZN), a PhD candidate at the University of South Africa in the Nanotechnology and Water Sustainability Research Unit won the South African leg of the international Famelab competition in Cape Town in May. Nozipho will be jetting off on Monday the 6th of June. She takes part in the international semi-final on Wednesday the 8th of June; and hopes to compete in the final on Thursday the 9th June. Nozipho Gumbi wins FameLab South Africa 2016 Nozipho made us proud!